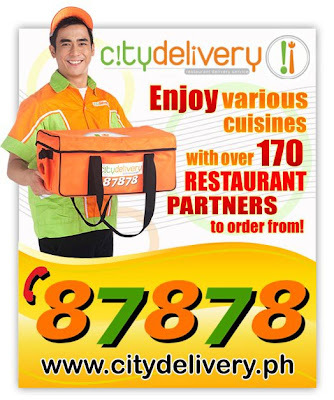 Our favorite barbecue in town is now at the tip of our fingers wherever we are as they proudly announces that their delivery service is now also wonderfully handled by one of the country's leading delivery service company, City Delivery. Now, we can enjoy these sumptuous, finger-licking offerings of Reyes Barbecue even there's no nearby Reyes Barbecue branch to us by just dialing 87878. Yes, those mouthwatering barbecues, - chicken and pork - grilled seafood, steaks and many more can now be enjoyed just the way they are in our very own comfort zone. I quite had a lot of good experiences dining at Reyes Barbecue, asking another cup after the other cup of their absolutely delicious Java Rice is the best part of it. But there are times that I cannot leave the house or the office or I'm way out their radar to have these delicious barbecues or meals, so learning about this great news just made me and my tummy so glad. Frank Reyes, the founder of Reyes Barbecue, is happy to work with Ashley Co Kehyeng, general manager of City Delivery, as they go hand-in-hand delivering to a wider range of consuming public these satisfying meals that are friendly to our budget. Happy ordering and happy eating!